Forgive me this moment of self-promotion. 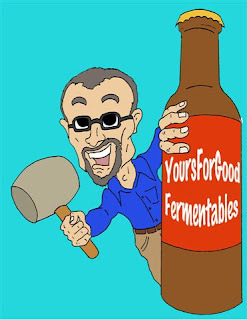 This blog —Yours For Good Fermentables.com— has been reviewed by Steve Sullivan who, along with Baltimore Sun 'features' columnist Rob Kasper, writes that paper's on-line (is that an oxymoron?) beer blog: Kasper On Tap. 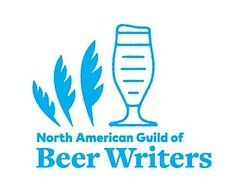 "I don’t review beers very often. It’s done to the nth degree. Anybody can write a review. ... At the end of the day, how many ways can you describe the flavor of a hop? ... if you’re just talking about 'I just had a beer,' that’s the end of the story. That’s your blog. Beer to me is much more of a cultural thing. It’s how you have it, where you have it, with whom you have it, what you were eating when you had it, what you felt like. There’s a lot more to it. " Cizauskas says that anybody who hangs out with him long enough can attest to the fact that, with him, everything all comes back to beer. I couldn't have said it better myself. Wait ... I just did. 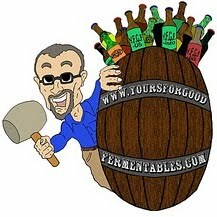 Read the rest at Kasper on Tap: From the beer blogs: Yours for Good Fermentables. Irony alert: Anybody who 'hangs out' with me long enough will know of my scorn for cliches. Catch several I used just in the excerpts above.